Suzanne Sauvage, President and Chief Executive Officer of the McCord Stewart Museum, has always had a passion for arts and culture, a constant source of inspiration throughout her career. A true cultural entrepreneur with extensive experience in the field of communications, notably as president of Groupe Cossette Canada, she now brings her visionary leadership and managerial experience to benefit the McCord Stewart Museum. From a well-kept secret, the McCord Stewart Museum has become one of the most important and dynamic museums in Montreal under her leadership. She has successfully completed the merger between the Stewart and McCord museums, bringing together the two collections to create one of the most important historic collections in the country and in Quebec, including an exceptional First Nations collection. Since taking the helm of this institution, attendance has tripled and is attracting a younger clientele by opening the museum’s doors free of charge once a week and by organizing activities directly targeting 20 to 35 year olds. The Museum has welcomed several major international exhibitions that have attracted tens of thousands of visitors such as Grace Kelly, Horst – Photographer of Style, and Italian Fashion From 1945 to Today. It has also presented exhibitions from its own collection such as Notman, A Visionary Photographer, on tour in many museums across the county. The Museum’s educational mission is also one of her priorities and the educational programs are welcoming more and more children from all social and cultural backgrounds, so they may understand their city and its history and become engaged citizens, open to the world. Concerned about the importance of inclusion, especially in a city like Montreal, she has implemented programs that are aimed at new immigrants not only so they can learn about their adopted city but to give them the opportunity to explore their own culture and share their stories with other Montrealers. In conjunction with its exceptional First Nations collection, Suzanne Sauvage sought to involve the McCord Stewart Museum in the process of reconciliation with aboriginal communities, recommended by the Canadian government’s Truth and Reconciliation Commission. In this spirit, she organized various exhibitions such as one on Residential Schools, and invites contemporary aboriginal artists to work with the Museum’s collections as part of the “Artist in Residence” program which she implemented. In an effort to bring the Museum outside its doors, she transformed Victoria Street which borders the Museum, into a pedestrian zone to welcome Montrealers during the summer. The McCord Museum’s Urban Forest is a social space where you can listen to concerts, meet with artists or take a yoga class, and where food trucks can be found every day at noon. This initiative attracts more than 200,000 visitors every summer. 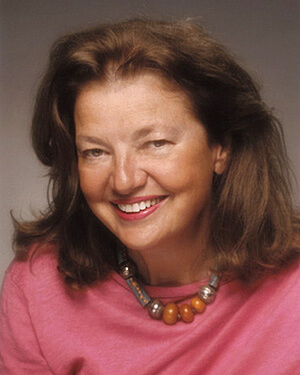 Throughout her career, Suzanne Sauvage has also been active on many boards of directors, including those of the Foundation of the Women’s Y, the Foundation of Greater Montreal, Concordia University, the Metropolitan Orchestra, the Marie Chouinard Dance Company and the Festival Montréal en lumière.